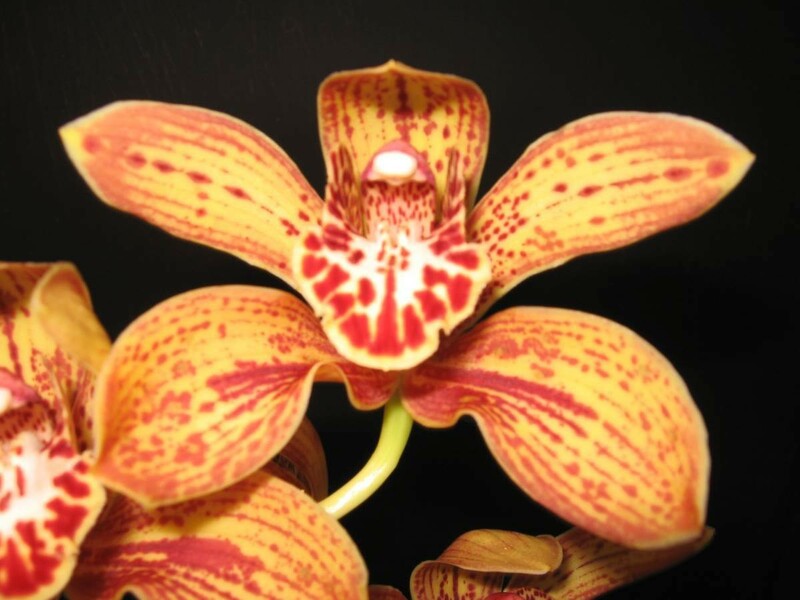 Orange Polka' has been given an award for outstanding colour being an orange spotted and striped flower with a red spotted and blotched labellum. Standard in size and a good flower count on a flower raceme. Mid season blooming.